We have completed the first cycle of translation laboratory “Toward a Lexicon of Usership_2013” by StephenWright. A very interesting debate was created around the content of the book, which was the main interest of Stephen, has been completed 25% of the translation into Spanish and Catalan. The lab will follow its itinerary in 2018 with the collaboration of La Escocesa, Roca Umbert F A, Hangar.org, Nau Côclea, AcVic and Can Serrat. 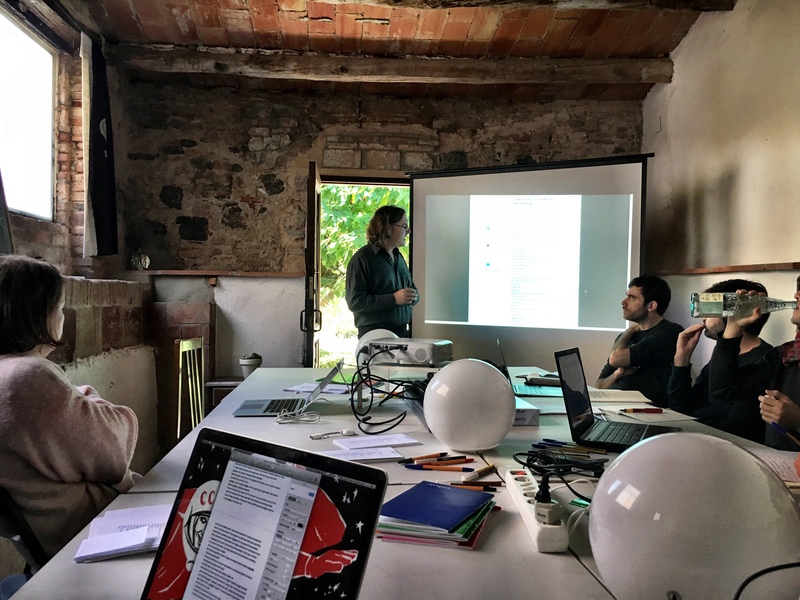 Thanks a lot to all the translators/ users of the book who participated in the workshop last November: Elia Cervera, Blai Marginedas Sayós, Daniel Moreno Roldán, Sophie Bla Is, Lúa Coberch, Lluís Nacenta, Anna Dot, Oriol Fontdevila, Xavi Bassas, Raquel Friera , Pablo Santa Olalla, Joana Masó, Felip Martí-Jufresa, Juan David Galindo, Marion Balac, Carlitos Hottub Carbonell, Nihal Mumcu.